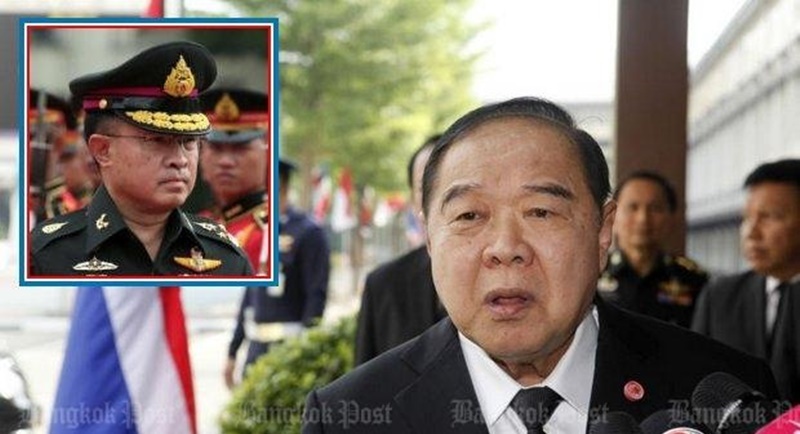 BANGKOK: Army Chief Chalermchai Sittisat said he believes there may be an assassination plot targeting Deputy Prime Minister and Defence Prawit Wongsuwon. His comments came after Gen Prawit revealed earlier that someone made threats to assassinate him on social media. Asked if such threats were credible, Gen Chalermchai said he believed the assassination plot could be real. Therefore, strict security arrangements are already in place to protect important government figures, he said. Asked if it was necessary to determine where the threats came from, the army chief said Prime Minister Prayut Chan-o-cha as well as Gen Prawit have already ordered probes into the matter. Gen Prawit is already aware of the threats against him on social media, Gen Chalermchai said, adding he was confident things were under control and nothing bad will happen. “I am convinced that nothing will happen. Those who issued threats will be prosecuted,” the army chief said, adding that Gen Prawit was targeted because he is the heart and soul of the government’s security operation. Regarding reports that assassination threats against Prime Minister Prayut Chan-o-cha have also been posted on social media, Gen Chalermchai said that security agencies are investigating the matter. Meanwhile, Gen Prawit, who is also the Defence Minister, asserted that there will be no coup following the next general election as nobody wanted a coup unless the country was “unable to move on”. He was speaking in response to an analysis published by the Washington Post which said that Thailand ranks second in the world where a coup is most likely to occur again in 2017, particularly after the general election. Gen Prawit said if there was reconciliation and if all Thais gave their full cooperation, there was no way a coup would be staged again, adding the military would also be under the next government’s administration. There was a strong possibility that the military will not stage a coup again if all politicians can reconcile with each other and care for the people without conflicts, he insisted. Gen Prawit stressed there will be no counter-coups given unity in the military. Also, the present government, the National Council for Peace and Order and the army were as one as Prime Minister Prayut is doing his best in every way for the country’s benefit, he added. I wonder what more can be done to encourage reconciliation - the country still seems very divided sadly.